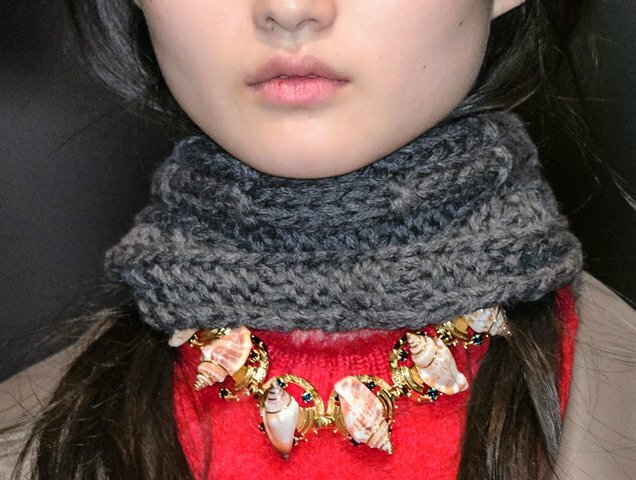 Seashell jewelry seems like the kind of thing best left among your childhood vacation souvenirs and yet somehow ocean-inspired baubles are experiencing a revival for Spring 2018. What was once the stuff of gift shop purchases is now getting a seriously chic makeover — and proving to be one of the season’s most surprising accessory trends. It all started on the Fall 2017 Prada runway as Miuccia Prada sent out models adorned in chunky knit layers topped with seashell necklaces and bracelets, some more ornate and some that felt like a memento of a summer fling with a surfer dude. They were ironic and chic all at once and clearly the designer was on to something as evidenced by the continuation of the trend the next season by labels like Dolce & Gabbana and Rosie Assoulin. 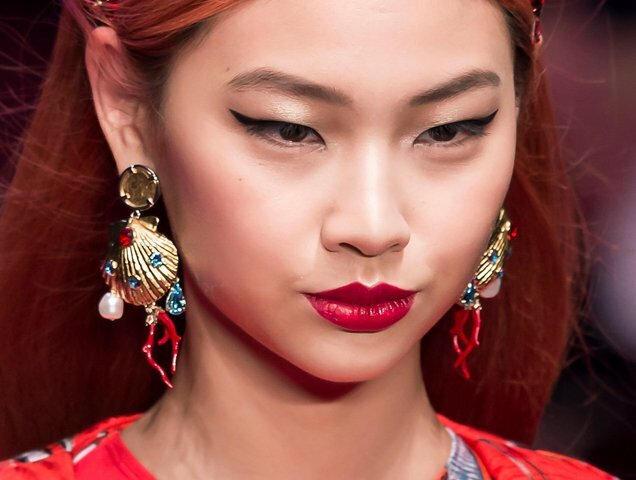 The latter offered a more laid-back take in the form of organic-looking drop earrings, while the former took a more elaborate turn with the trend (naturally) showing gilded embellished shell earrings and crowns worthy of a modern-day Ariel. 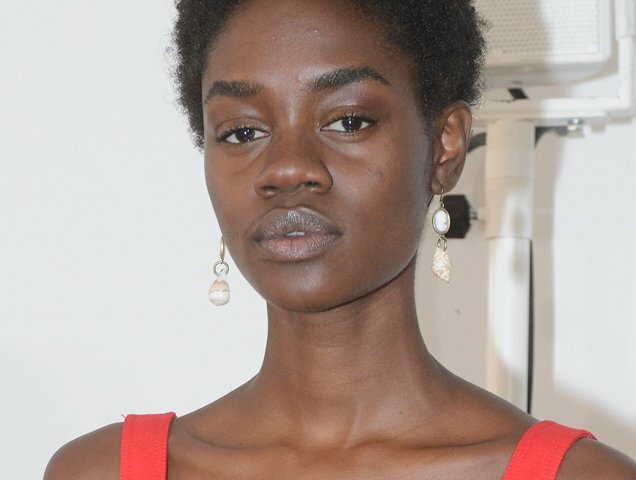 Now everyone from Isabel Marant to H&M is following suit, meaning you can get your seashell jewelry fix on everything from necklaces to bracelets to earrings. Rather than kitschy, this season’s shell offerings feel fresh and fashionable. Still, if you’re concerned about keeping the trend in sophisticated territory, try pairing your jewels with sleeker pieces like a classic white button-down or a silky cami and jeans. Ready to give this look a go? Click through the slideshow to shop 13 stylish shells we’ve collected for summer.